We are excited to announce that Nottingham Free School Sixth Form (NFS-16) opens in September 2019 offering A-Level courses to students aged between 16 and 19 years. The combination of specialist A-Level teaching and our wider enrichment curriculum gives the very best education and preparation for further study at university or application for higher apprenticeships. Our working week incorporates lessons, independent study, enrichment and voluntary activities alongside time with personal mentors. We would love you to join us in Year 12. Find out more about NFS-16 on this web page, at our open evening or visit us during the working day. I would like to warmly welcome you to our sixth form as part of Nottingham Free School. It is with great excitement that we develop into post-16 and a privilege to deliver this level of education for our community. Our vision is to fully prepare all of our students for their next step in life. NFS-16 builds on our strong foundations of quality teaching and wider enrichment opportunities to ensure that all of our students are able to apply to university, an equivalent higher level apprenticeship or make a smooth transition into employment. Our school community is a welcoming environment where we know every individual enabling us to provide the best support for academic and personal development. This will apply whether you have studied with us for the past five years or are just joining us in Year 12. I look forward to welcoming you into our sixth form community. Our vision is to ensure all our students achieve a good career through university or equivalent training. Our high aspirations combine the key strands of strong achievement, employability skills and consideration towards others which is summed up in our motto ‘work hard, be kind’. These principles, which guide our school community, enable our students to reach this goal and be wellrounded citizens who are highly desired by higher education and employers. Our curriculum goes beyond the suite of facilitating A-Level courses on offer. Alongside these, students will follow an enrichment curriculum giving them the essential skills required for university applications and the workplace. They will be able to broaden their studies through the Extended Project Qualifications (EPQ), enter the Duke of Edinburgh Awards (up to Gold level) and participate in a variety of voluntary and work experience activities. Students are expected to contribute to the NFS community and play an active role in supporting their peers or younger students in a variety of ways. This can be through working with students in subject curriculum classes, tutoring sessions, lunch time clubs or enrichment lessons. There will also be a variety of ways to contribute to our work with the wider community through various volunteering opportunities. As a sixth form student body, you will also have leadership opportunities to run clubs and societies for your peers. 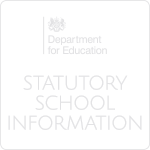 All of our staff are skilful and passionate subject specialists who are kept up-to-date with subject knowledge and awarding exam body requirements. All students will have taught lessons in each of their subjects along with independent study periods and access to additional learning resources. 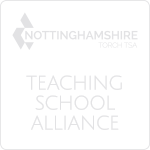 Our strong pastoral care is a highly-regarded aspect of Nottingham Free School and this continues at sixth form level. 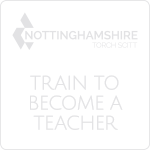 A personal tutor will monitor progress, achievement and approach to learning on a regular basis. In addition, students will have a weekly PSHCE session where information about relevant life skills will be taught and discussed. The majority of our students are expected to progress onto higher education or a higher level apprenticeship. All students will be provided with information and guidance enabling them to make a well-informed choice as to their chosen pathway. We already have strong links with a number of universities giving students a flavour of university life. Expert advice from our experienced staff will be provided to support all students individually with their university or apprenticeship application. Students wishing to enter directly into employment will also have support with their job applications. Applications for September 2019 will open on Thursday 18th October 2018.